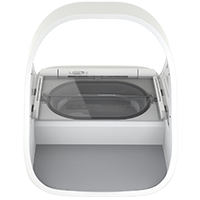 With the lid closed press the Training Function button (Fn) once on the rear of the feeder. The lid will open and the light will flash orange (once every few seconds). 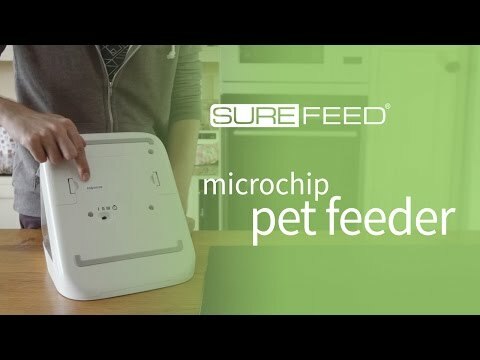 Now fill the bowl of your choice with your pet’s favourite food and once again place the feeder in your pet’s normal eating spot. 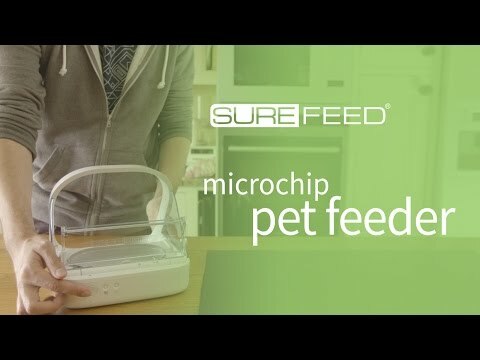 During this first stage of teaching your pet to use the feeder, the lid will not close after they have finished eating. Remember to take your time and let your pet get used to their new bowl. Once they are happy proceed to Part 2. Start to increase the motion of the lid by pressing the Training Function (Fn) button once again. The lid will close a small amount and the light will flash orange twice. 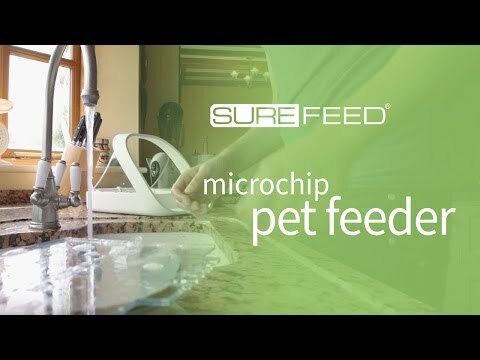 Now when your pet eats from the bowl there will be some movement as the lid opens fully. When they finish eating, it will close slightly. Allow your pet to use the bowl as normal whilst they get used to the new lid movement. When you need to replace their food do so as normal. After replacing the food, ensure you press the open/close button () to close the lid to its training position. Remember to take your time. Do not proceed to the next step until your pet is confident with this amount of lid movement. Once your pet is happy with the movement, press the Training Function button (Fn) again. The lid will close to the next position and the light will now flash orange 3 times. 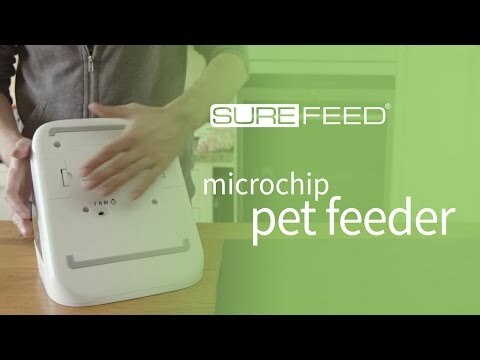 Again, continue to use the feeder normally and do not proceed to the next step until your pet is confident with this motion. Your pet should be happy with the lid movement now so this final stage of training has the lid closed even further. As before, press the Training Function button (Fn) again. The lid will close to its final position and the light will now flash orange 4 times. Once your pet is happy with this final position, press (Fn) again. The lid will close fully and the light will no longer flash. The feeder is now sealed and in daily use mode.